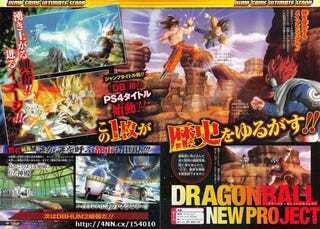 The latest issue of Jump reveals that a new Dragon Ball game is in store for the PlayStation 4. It's the first DB title to be announced for the PS4. There's no release date yet, and this being a Japanese announcement, no word on a Western release.